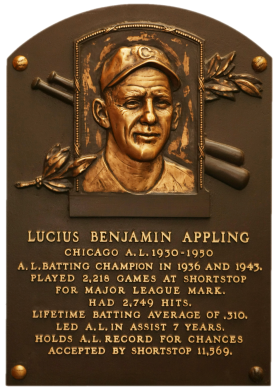 Known better for his bat than his glove, Appling nonetheless played shortstop for the White Sox for 20 seasons. Nicknamed "Old Aches and Pains," Appling led the AL in batting twice, finishing with a career average of .310. He finished his career with 1,116 RBI and 1,319 runs scored. In 1936, he hit .388 and collected 128 RBI, despite hitting only six home runs. 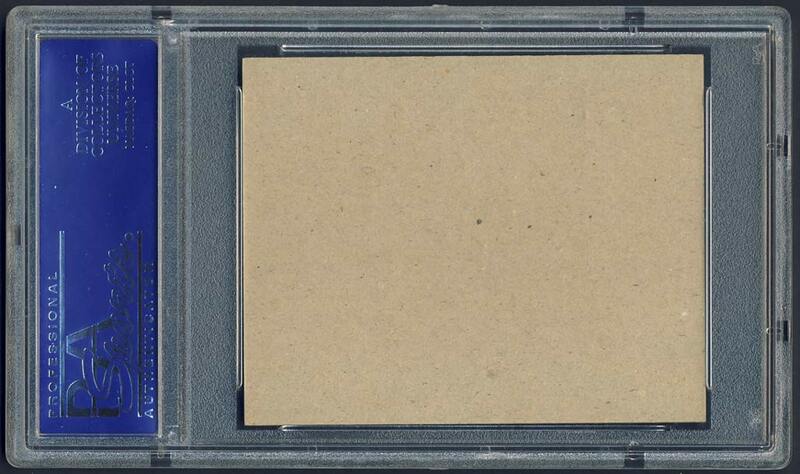 Comments: In February, 2003 I won an eBay auction for a 1949 Bowman PSA 6. It wasn't the best shot of Appling in my opinion but it would work until I found another portrait. In March, 2005 I upgraded to a GAI 7 after winning another eBay auction. 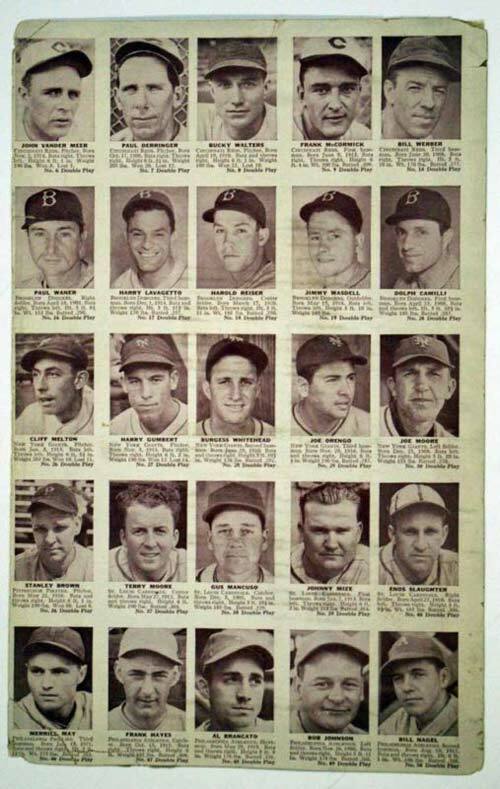 Around the same time I settled on Rizzuto representing the 1949 Bowman issue. 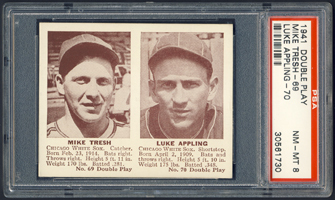 I swapped out the '49 Bowman Appling for a 1948 R346 PSA 7 to give me a new type card in July, 2005. 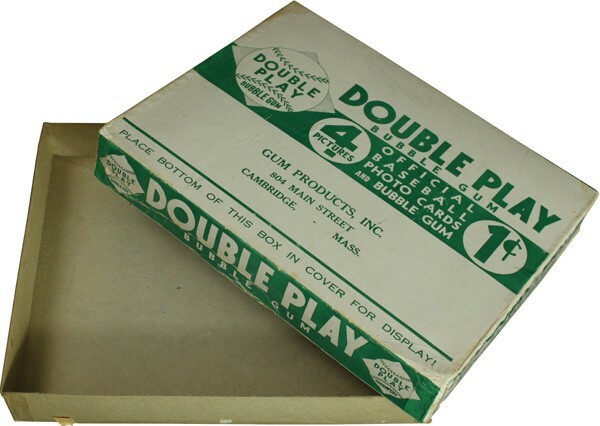 In June, 2006 I made another change when I won an eBay auction for a 1941 Double Play PSA 6. I struggled with this purchase a little because the portrait of Appling was perfect, but he shared the card with Mike Tresh. 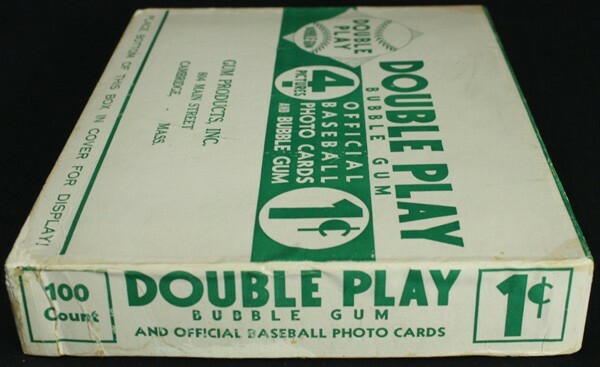 It would be the first item in the collection with multiple players on the card, one of which wasn't a Hall of Famer. 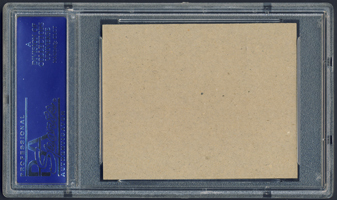 In December, 2007 I upgraded to this PSA 8 with another eBay win from seller Brent Huigens. 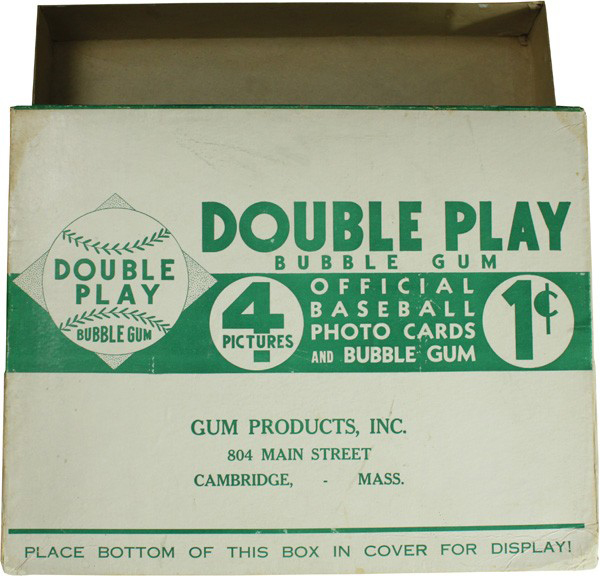 Description: Issued by Gum, Inc., this set includes 75 numbered cards (two consecutive numbers per card) featuring 150 players. The blank-backed cards measure 3-1/8" X 2-1/2" and feature black-and-white photos of the players, some in horizontal format, some in vertical. The last 50 cards in the series are scarcer than the early numbers. Cards which have been cut in half to form single cards have little collector value.